A sharp rise in the rupee value against dollar has added to the woes of exporters, who want the government to step in and peg the fixed exchange rate, taking a cue from China. Anil Ambani Group company Reliance Big Entertainment today said it would acquire 50 per cent stake in UK-based gaming firm Codemasters. Opto Circuits today announced the acquisition of Kolkata-based N S Remedies Ltd for $1.5 million in an all-cash deal. Opto Circuits said the acquisition would help the company foray into manufacturing of cardiac stents. The government today held mock auction for 3G spectrum and has convened a meeting tomorrow in which bidders will be briefed about the nitty-gritty of the real auction on Friday. With a view to improving transparency and corporate governance, Sebi today made it mandatory for all listed companies to disclose their financial results within 45 days of the end of every quarter. A computer glitch has led to widespread panic among thousands of income taxpayers across the nation, who have received demand notices regarding the payment of the pending arrears, which actually the Income Tax Department owes them. Bharti Airtel today launched a new service Airtel Talkies by which movie buffs will be able to access movie content on their mobile phones much before the release of the film. ICICI Bank and HDFC Bank today played down concerns about being treated as foreign banks on account of majority foreign shareholding in these, saying they continue to remain Indian. Welspun Gujarat Stahl Rohren is learnt to be in talks to buy a tad over 50 per cent stake in the Saudi Arabia-based Aziz Pipe Company for an estimated Rs 260 crore. The US dollar has shown a decline of about 12 per cent in the last one year, as foreign institutional investors (FIIs) pumped in huge inflows. They brought in $ 4.1 billion in the last three months. As the FIIs were betting high on the Indian economy, dollar dropped to a 19-month low to the Rs 44.44/45 level today. Dollar depreciation results in lower margins for exporters because they realise less value for the foreign exchange in terms of local currency. After the 13-month rout since October, 2008, the exporters managed to return to growth from November, 2009, as the world economy is recovering from the worst recession in the past six decades. India's exports for fiscal ending March 31 are expected to drop to $160-165 billion from $ 185 billion in 2008-09. Demanding a fixed exchange rate of Rs 47.5 to a dollar for one year, the Federation of Indian Export Organisations (FIEO) demanded the government to regulate the FIIs. "The FIIs are making short-term profits. There is a need to regulate their investment. Moreover, the government can contemplate providing a fixed rate of exchange for exports on optional basis," FIEO president A Sakthivel said. He said China and Bangladesh were providing fixed exchange rates for the past few years and "reaping the benefits." Engineering goods exporters, the third largest contributors to the export kitty, felt that the drop in the dollar rate would delay the recovery in their business, which had not so far turned positive. "Engineering exports have declined by 20 per cent during April-January, 2010. This will get further aggravated if the rupee continues to appreciate," executive director of the EEPC (Engineering Export Promotion Council) R Maitra said. Employment-oriented export sectors like carpet and handicrafts will feel the brunt of rupee appreciation. "Incentives of around 5-7 per cent given to us in the Foreign Trade Policy have been washed out by the currency movement," chairman of the Export Promotion Council for Handicraft Raj Kumar Malhotra said. Carpet exporters, mostly in the small-scale sector, fear the business defaults as manufacturers may not be able to execute the orders book at the old exchange rate. "Rupee appreciation is not good at a time when our exports are at initial stage of recovery from the slowdown," Rakesh Mohan Joshi of the Indian Institute of Foreign Trade said. Reliance Big Entertainment has agreed to acquire 50 per cent shareholding in Codemasters, the company said in a statement. The company, however, did not disclose the amount involved in this deal The remaining 50 per cent stake is with European venture capital firm Balderton Capital, which had first invested in Codemasters in 2005. Codemasters has revenues of over $ 150 million and holds major franchises in cricket and racing games, among others. Reliance Big's gaming division Zapak Digital Entertainment would oversee the investment in Codemasters, the statement added. "We are excited to partner with Codemasters ... its strong technology, development and distribution presence will complement our global gaming portfolio," Zapak CEO Rohit Sharma said. "We are pleased to conclude this acquisition that will extend our capabilities from designing cardiac stents to now manufacturing them," Opto Circuits India CMD Vinod Ramnani said. Ramnani said the acquisition, besides enhancing the manufacturing capacity, would significantly reduce the cost of making bare metal stents and reduce the dependence on external agencies. Era Infra Engineering today said it had forayed into power transmission and distribution (T&D) business and had a formed a new subsidiary -- Era Power Ltd. "We see a good business opportunity in power T&D business as a number of companies are coming out in the country in the power sector," Era Infra CMD HS Bharana said. Era Power was setting up transmission tower manufacturing facility in Nagpur that is expected to be completed by the end of the second quarter of the current fiscal, Bharana said. "We expect an addition of nearly Rs 100 crore in the company's revenue by the end of fiscal," Bharana added. The company is also undertaking business of construction of power substations and execution of electrical transmission and distribution contracts. The takeover battle for Fame India further heated up with Religare Securities today hiking its stake to 5.82 per cent in the multiplex chain operator on behalf of some its clients. Religare purchased 20.24 lakh shares, representing 5.12 per cent stake, in the company, Fame India said. Religare's spokesperson said the transaction was certainly not for the company but on behalf of the clients. Prior to the acquisition, Religare held 0.70 per cent stake in Fame India. It holds 5.82 per cent stake in Fame India at present. SEW Infrastructure today said it had received Rs 152 crore as equity investment from NYLIM Jacob Ballas India Fund III, LLC, a Mauritius-based private equity investor. Daiwa Capital Markets acted as adviser to SEW on this transaction. "The infusion of funds will help the company strengthen its balance-sheet, further enabling it to bid for larger projects," SEW's MD V Rajasekhar said. "SEW will use the funds to meet its capital expenditure and working capital requirements as also to part-finance the equity contribution for its five hydro-power projects to be developed in separate SPVs," Rajasekhar said. Biocon today said it would buy out the entire 49 per cent stake held by its joint venture partner CIMAB SA in Biocon Biopharmaceuticals (BBPL) for an undisclosed amount. "Post-acquisition, BBPL will become a wholly owned subsidiary of Biocon," the Bangalore-head quartered company said. Biocon said pursuant to a business restructuring, the company would buy out the stake held by CIMAB SA in Biocon Biopharmaceuticals through its another wholly owned subsidiary Biocon SA. The Department of Telecom (DoT) conducted the mock auction to familiarise the nine 3G and 11 broadband wireless access (BWA) bidders with the system and clarify their technical queries about the auction. Bidders logged onto the DoT’s mock auction network since morning to understand the nitty-gritty. According to a senior DoT official, NM Rothschild, which designed the auction process, will make a presentation to the bidders at tomorrow’s meeting. Finance Secretary Ashok Chawla, Home Secretary GK Pillai among others, have been invited for the meeting. Nine telecom companies are in the final list of bidders for three-four slots of 5MHz of 3G spectrum, while there are 11 bidders for two slots of BWA. 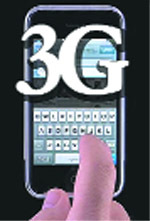 Winners will be able to offer customers high-speed voice and data transfer and multimedia services. The process of e-auction allows applicants to bid from their computers. Companies would also be required to disclose their audited financial statements within 60 days of every financial year end, Sebi said, while amending the equity listing agreement. "It has been decided that listed entities will disclose, on standalone or consolidated basis, their quarterly (audited or unaudited with limited review) financial results within 45 days of the end of every quarter," Sebi said in a circular. Earlier, companies had to disclose their results 30 or 60 days after the end of each quarter. The market watchdog said the decision was aimed at streamlining submission of financial results by making it uniform and to reduce the timeline for submission of the same to the stock exchanges. It has also said the turnover, profit-after-tax and profit-before-tax should be mentioned on a standalone basis at the time of presenting the consolidated results. Sebi has also mandated companies to disclose their asset-liability position within 45 days of every six months. "With a view to having more frequent disclosure of the asset-liability position of entities, it has been decided that listed entities will disclose within 45 days from the end of the half year as a note to their half-yearly financial results, a statement of assets and liabilities in the specified format," Sebi said. At present, shareholders have access to the statement of assets and liabilities of the listed entity and its solvency position only on an annual basis. "This is a step in the right direction by Sebi for corporate governance and transparency. Considering the global financial crisis, it is important to know the position of the company on half-yearly basis," SMC Capitals' equity head Jagannadham. Thunuguntla said. Sebi further said to ensure that the chief financial officer of a company had adequate expertise to review and certify financial statements, appointment of the CFO should be approved first by the audit committee before the management gave its nod. The demand notices have been issued by the IT Department. The taxpayers were supposed to receive their pending arrears from the IT Department after the Central Board of Direct Taxes (CBDT) issued instructions to the department for quick disposal of the large number of refund cases, which had been pending since last two years. The department, busy clearing the pending cases as per the instructions of the CBDT, on the other hand, issued demand notices to the taxpayers asking for immediate payment of the pending arrears. “If the PAN number mentioned by the tax payers is not legible, the computer instantly shows arrears. Wrong PAN quoted or no PAN quoted on the form is also the reason behind showing arrears. Everything is computer operated and now we will be rectifying the same manually,” said Randhawa. Additional Commissioner, Chandigarh, AK Sharma said the problem was not pertaining to any specific region or territory but it lies within the entire country. “The main reason behind the same is the mismatching of data. The processing of the returns has started. We are manually seeing all those cases where the computer is showing arrears. The problem is being rectified manually and very soon the refunds of the taxpayers will be issued,” he added. A senior taxation official from Amritsar on the condition of anonymity said the processing of refund cases had started. The cases where computer shows arrears will be rectified through Section 154 and refunds will be issued to them. It is a centralised problem and not pertaining to any specific territory. “I have paid my Tax Deduction at Source (TDS) but have not received my refund till date. After the recent instructions by the CBDT, I thought I will get my refund but shockingly I received a demand notice, mentioning the arrears. Now, I am left with no other option but to make the rounds of the department to rectify the mistake and claim my refund,” said Tejinder Singh, a taxpayer. Another taxpayer, Anuj Malhotra who received a demand notice from the department said he was shocked to receive the notice mentioning that I owe arrears to the department while I was waiting for refund. The amount mentioned on the demand notice is the amount of the refund which I was supposed to receive from the department. Jatinder Khurana, president of Taxation Young Lawyers Association said people were facing many difficulties due to the wrong attitude of the department. Airtel Talkies offers both upcoming new releases and all-time classic movies in five languages - Hindi, Tamil, Telugu, Kannada and Malayalam. Airtel Talkies provides subscribers access to exclusive content from upcoming movie releases combining elements such as the movie’s soundtrack and key dialogues. The service provides original movie content, dialogues, storyline and song clips even before the release of the movie. The format of cinema on Airtel Talkies comprises a 15-minute narrative where songs and dialogues are connected together by a “Sutradhar” to provide a crisp yet complete experience of the movie. The two along with five other private sector banks are likely to get impacted by the new FDI policy as foreign shareholding in these entities in different forms like ADRs and GDRs exceeds 50 per cent. This could make them ineligible for being treated as domestic entities. The other five banks, which are likely to get impacted by this are Yes Bank, IndusInd Bank, Federal Bank, ING Vysya and Development Credit Bank. "Our management continues to be Indian. We continue to remain as a bank of Indian origin. Beyond that the classification of shareholding does not really impact our day-to-day performance," ICICI Bank MD and CEO Chanda Kochhar told reporters here today. "Welspun Gujarat is in final stages of negotiations with Aziz Pipe to buy a little more than 50 per cent stake in the firm for Rs 250-260 crore," a person in the know of the development said. The valuation of the Saudi firm is around Rs 500 crore. Wellspun, which is the second largest pipe producer (by large diameter) in the world, operates a 3.5-lakh tonne facility in Little Rock, Arkansas, the US, and hopes to tap the lucrative Gulf market with the latest move. It also operates a 1.65mtpa plant in Anjar, Gujarat, which is being increased to 2.1mtpa now. Neither Welspun group spokesperson Akhil Jindal nor officials from Aziz Pipe could be reached for comments. "After the acquisition, Welspun would have an annual production capacity of about 2.5mt, the largest in the world," the source further said.